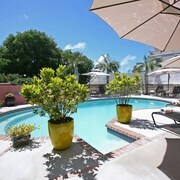 Situated by the ocean, this spa hotel is 0.6 mi (0.9 km) from Darrell's Wharf and 1.4 mi (2.2 km) from Elbow Beach. Paget Marsh and Nature Reserve and Belmont Hills Golf Club are also within 1 mi (2 km). 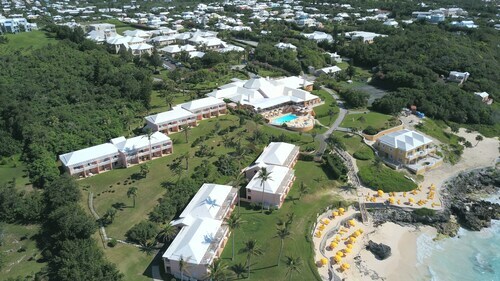 This Hamilton Parish resort is located next to a golf course, offering direct access to the beach and only short distance from Tucker's Point Golf Club, Mid Ocean Golf Club, and Blue Hole Park. 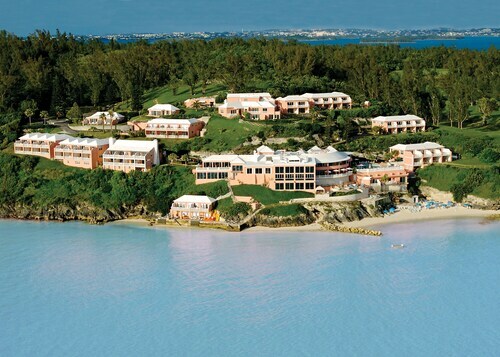 Also nearby are Crystal Caves and Windsor Beach. 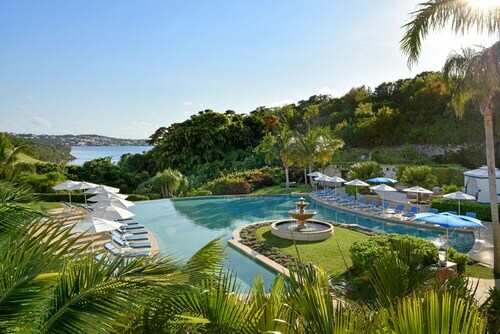 How Much is a Hotel Room in Bermuda? 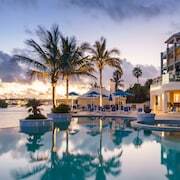 Hotels in Bermuda start at $369 per night. Prices and availability subject to change. Additional terms may apply. 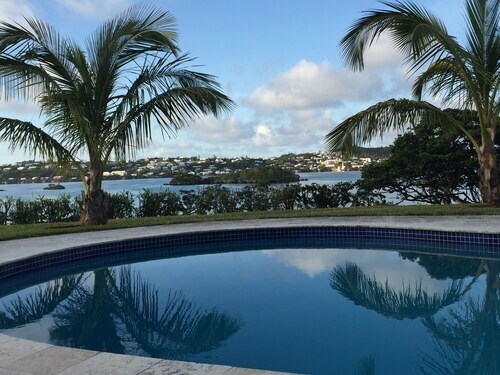 The island of Bermuda, far from any neighbors in the North Atlantic, stands alone geographically, historically, and culturally. Its tourist attractions – which include pink sand beaches, military forts, and an azure lake hidden deep underground – are also unique. 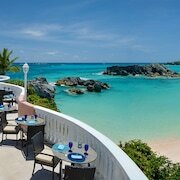 With Bermuda vacation packages you can unlock these island treasures for yourself. 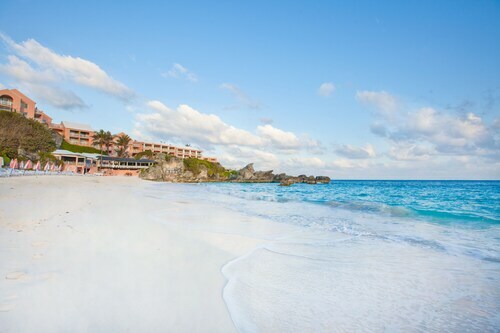 Bermuda offers typical tropical island activities, including sunbathing on the beach, snorkeling, and diving, but here the beaches are a stunning pastel pink, and dive sites include shipwrecks as well as coral reefs. You can also see magnificent marine life on a whale watching excursion. Spring is prime time for spotting humpbacks. 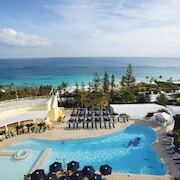 If you're a history buff, find hotels in Bermuda near St. George, a UNESCO World Heritage Site. 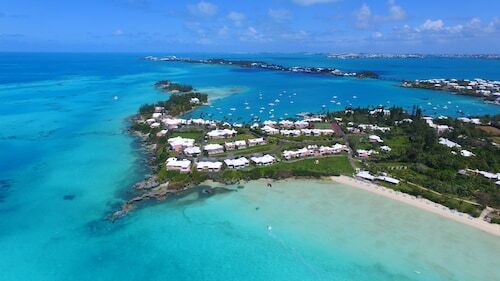 Settled in 1612, this is the place where Bermuda began, and the earliest English town in all of the New World. 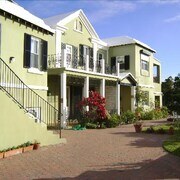 Its whitewashed limestone homes lining narrow, winding lanes represent a style of architecture unique to Bermuda. 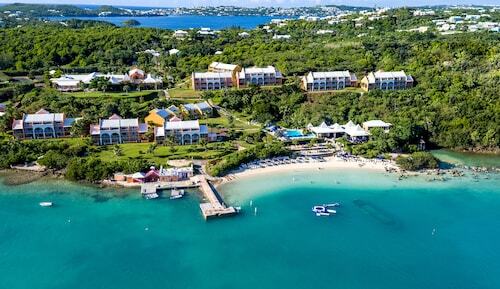 The island's Royal Naval Dockyard – the British Navy's base during the War of 1812 – is another historic site. Visit the Crystal Caves, a natural wonder and top attraction. Gaze in awe at the stalagmites and stalactites above and around you, and crystal-clear pools of water below. Two famous cocktails – the Dark 'n' Stormy and the Rum Swizzle – originated in Bermuda. Don't leave the island without sampling both. 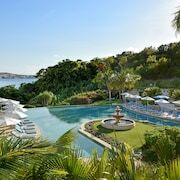 Concoctions featuring local rum, ginger beer, and fresh fruit dominate the cocktail menus of the bars inside Bermuda hotels, restaurants, and beach cafes alike. The island's cultural influences are evident in its diverse restaurant scene. The British influence is seen in Bermuda's smattering of pubs. One local favorite you'll see again and again on menus is the fish sandwich, assembled from sliced bread, tartar sauce, coleslaw, and crispy, salty, deep-fried fish. Also be sure to try a piece of Horton's Bermuda Rum Cake, another beloved island treat. 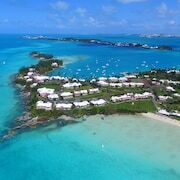 Looking for Bermuda flights and cheap hotels in Bermuda while you're on the go? Get mobile exclusive deals on the Travelocity app. A tad dated but wonderful for family. Great beach and location. Food is good, not great. Wonderful staff. 2 days ago by A verified traveler from Jamaica, VT.
Gorgeous views, excellent service, clean, comfortable room. Was a decent walk to bus stop. Charged $3.50 for a morning cup of tea and you had no where else to get a cup of tea. Didn’t really find the desk staff very helpful. All other staff were helpful and friendly. From the time we booked this rental, the owner Wayne was completely communicated. The property and view blew us away. Perfect for us. no crowds, and completely private. 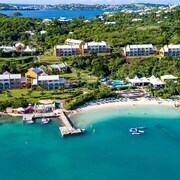 Great location within walking distance of many restaurants, shopping, the ferry, or bus terminal. Beautiful Hotel, the artwork around the hotel was amazing. The grounds were also very nicely landscaped. Would definitely recommend.